With India’s drug pricing authority capping the trade margins of 42 cancer drugs at 30 per cent, profit margins of hospitals which are already under stress are expected to come under pressure. Industry insiders pointed out that almost 70 per cent of oncology drugs are sold through the hospital channel. The government’s move, however, is unlikely to affect pharma companies. The new notified formula for fixing the maximum retail price (MRP) of 42 cancer drugs is based on the price at the first point of sale of the product or price to stockists. Trade margin is the difference between the price at which manufacturers sell drugs to stockists as well as distributors and MRP to patients. Hospitals sell cancer drugs at a very high mark-up price and now with the MRP coming down, their margins would take a hit. Back of the envelope calculations show that MRP of cancer drugs can come down in the range of 25 to 85 per cent. Consumables (medicines, medical devices like stents and implants) contribute bulk of the profit margins of hospitals. Of the organised private hospital chains, Healthcare Global Enterprises Limited (HCG) is likely to be the worst hit as it draws bulk of its revenues (about 90 per cent) from the oncology vertical. A Mumbai-based analyst said that HCG draws around 27 per cent of its revenues from pharmacy where its gross margin is around 30 per cent. “Gross margins in procedures and treatment are more than 75 per cent, and this remains intact. Apollo Hospitals, Max India and Fortis draw around 10-15 per cent of their revenues from oncology,” he added. A source in Fortis Healthcare said it is working with its supply chain partners to assess the impact (an email sent to the company went unanswered). The head of a leading pharma company, which has cancer drugs portfolio, said hospitals tend to buy those products or brands that have the highest MRP and they add their mark up to that. “With the MRP of drugs coming down, the earnings of hospitals will definitely take a hit. This, however, does not impact the drug firms,” he said. Hospitals, however, would take a relook at their tariff structure and expand services, feel industry veterans. “The government has a policy to make life-saving drugs affordable and if the regulated price gives reasonable margin over cost, there should not be any hue and cry. I believe hospitals will need to take a relook at their tariff structure, expand services and bring in efficiency to increase patient throughput. They should not depend on high margin consumables and products alone for profit,” said Joy Chakraborty, chief operating officer (COO), PD Hinduja Hospital and chairman, Healthcare, CII, western region. 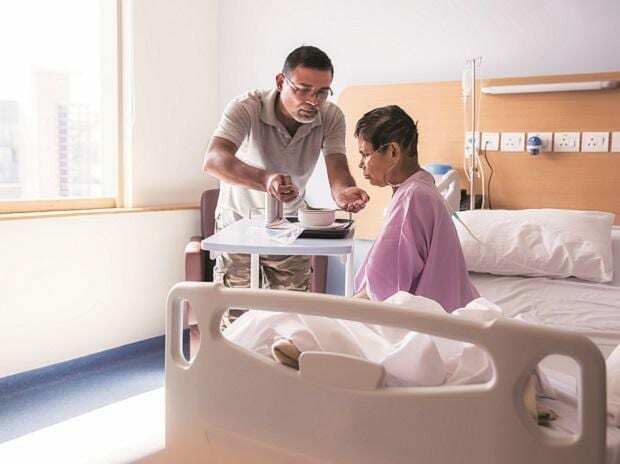 The chairman of another leading private hospital chain in the country, too, pointed out that focus on services like homecare would increase to boost revenues and margins. “Hospitals would find a way to earn from alternative sources, and this may also result in spike in prices of certain services,” he admitted. The sector, however, expects the ambit of price caps to expand beyond the 42 drugs. The present notification covers 72 medicine formulations sold under 355 different brands containing the 42 drugs. In the short-term, capping trade margins of cancer drugs will be good for patients but overall quality of care, future research and technological upgrades in hospitals will get affected. The government should reconsider its decision,” said Dr BS Ajaikumar, CEO of HCG, which runs cancer hospitals across India. “We are still evaluating the decision and feel it will not have material impact on us,” Dr Ajaikumar added. 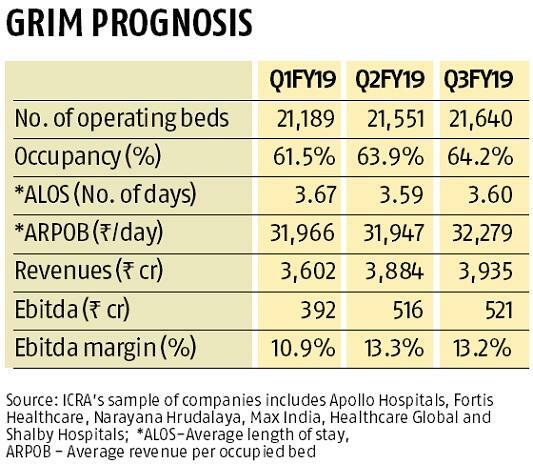 An ICRA analysis till H2FY19 showed that the hospital sector has been witnessing deteriorating profitability since the beginning of calendar year 2017. Implementation of the goods and services tax or GST, price cap on stents as well as knee implants by the National Pharmaceutical Pricing Authority (NPPA) and stiff regulatory action by certain states are some of the factors behind this dip.